In order to represent clients before the United States Patent Office it is necessary to take and pass the Patent Bar Examination. In order to be registered to practice before the Office the individual seeking registration must: (1) Apply to the USPTO Director in writing by completing an application for registration form supplied by the OED Director and furnishing all requested information and material; and (2) Establish to the satisfaction of the OED Director that the applicant possesses good moral character and reputation and the requisite scientific qualifications and competence to advise and assist patent applicants in the presentation and prosecution of their applications before the Office. The patent bar exam is a multiple choice examination made up of 100 questions. You will be given 3 hours to complete the first 50 questions and another 3 hours to complete the second 50 questions. The exam is on-demand and can be taken any time. An application to take the patent bar must be completed and submitted to the Office of Enrollment and Discipline (OED) at the United States Patent and Trademark Office (USPTO). If you are either Category A or Category B you can anticipate getting an admission ticket within about 10 to 14 days after a complete application is submitted. Effective October 4, 2014, the Manual of Patent Examining Procedure (MPEP), Edition 9 (2104) will be the primary testable document. The updated examination will cover all material in the current examination and additionally will cover: the material in the Manual of Patent Examining Procedure (MPEP) Ninth Edition, March 2014; Consolidated Patent Laws including changes implementing the Patent Law Treaty; Consolidated Patent Rules including changes to implement the Patent Law Treaty; and Patent Prosecution Highway. See Source Materials for the Registration Examination. Several years ago, in April 2011, the patent bar examination was updated to test KSR v. Teleflex, Bilski v. Kappos and the 112 Guidelines, which are now all a part of MPEP Edition 9 (2014). Indeed, since April 2011, the patent bar examination has undergone constant revision and updating. 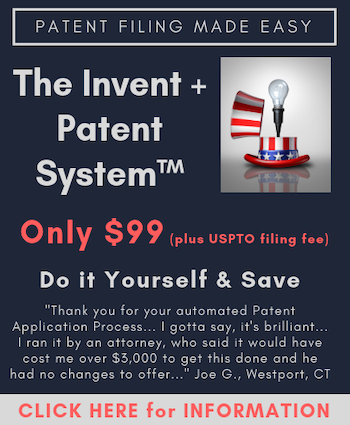 Unfortunately, the USPTO has not released any patent bar questions since 2003. While the 2003 exams are helpful, the law and rules tested in available, released exams is outdated, making studying from old exams of marginal benefit at best. Those who take the PLI Patent Bar Review Course will have access to many hundreds of exam level difficulty questions to practice from. We continually bring the 2003 and 2002 exams forward so that the questions remain good based on the current law that will be tested. We also continually write new exam level difficulty questions. We have over 125 exam level difficulty questions that focus on AIA and over 100 that collectively deal with KSR, Bilski, the 112 Guidelines and appeals. We have a 50 question practice final exam that is designed to be quite difficult to gauge your readiness for exam day. We recommend that students do a minimum of 500 exam level difficulty questions after taking the PLI course. In terms of exam administration, the patent bar exam is delivered via computer and upon receiving an exam registration ticket you must schedule the exam during a 90 day window. You take the exam at a Prometrics testing facility, and there many hundreds of facilities across the United States. At the end of each 3 hour segment answers will be submitted so it will not be possible to return to the first 50 questions during the second 3 hour segment. It is also important to realize that when time expires the computer will automatically submit the answers whether or not you have selected an answer choice for each question. Therefore, it is extremely important to pace yourself and be sure that you answer every question, even if you only guess. To help you develop strategies to succeed with this time sensitive exam please see MPEP Search Strategies and 10 Patent Bar Exam Strategy Tips. For those who are thinking about taking the patent exam without first taking a patent bar review course I recommend that you read Beware Bad Advice and New Rules, Old MPEP Make for Difficult Study. Unlike certain other standardized tests there is no penalty for guessing. You merely need to get 70% on the exam, so if you can guess your way to that threshold you will pass. This 70% score to pass does not exactly translate into needing 70 correct out of the 100 questions asked. This is because everyone who takes the exam is given 10 beta questions that do not count toward the overall score. So you really need to get 70% out of the 90 questions that count, or 63 out of 90. There is no way to tell which questions are beta questions though, so you should not assume any question is a beta question and can be skipped. The purpose of these beta questions is presumable to allow the Patent Office to add questions and test them to see if they are good questions prior to adding them to the permanent database of questions that count toward achieving the 70% required. While you can indeed guess without penalty you should not, however, anticipate being able to guess your way to passing this exam. The Patent Bar Exam is an extremely difficult exam and the pass rate for Fiscal Year 2013 was 47%. As many know, I have taught the PLI patent bar review course since 2000. During the Winter of 2014 we did a comprehensive survey of our students and determined that despite the 47% overall pass rate our pass rate was 85%. We also typically teach between 40% to 50% of those who take the patent bar examination. Therefore, you can imagine that those taking this exam on their own without any guidance are likely to fail. Add onto this the fact that those who qualify to sit for the exam are engineers and scientists, a group of people not typically known for such widespread failure, and you can get a sense for just how difficult this exam is to pass. For more information on registering for the patent bar exam please see the General Requirements Bulletin. Becoming Patent Bar Eligible: What Courses are Acceptable? Patent Bar Exam Craziness, Do You Know How Long a Month is? Does My Degree Qualify Me to Take the Patent Bar?